Twitch gaming star meets Neymar Jr and visits Salzburg’s famous Hangar-7. – The 27-year-old from Detroit has created a huge 13 million following on Twitch with his exploits, the most followed streamer on the video platform. – After starting to play Halo 3 professionally in 2009, the American became known globally for streaming the hit game Fortnite which saw him break Twitch records with Drake, Travis Scott and Juju Smith-Schuster. – He has also amassed a YouTube following of over 21 million. 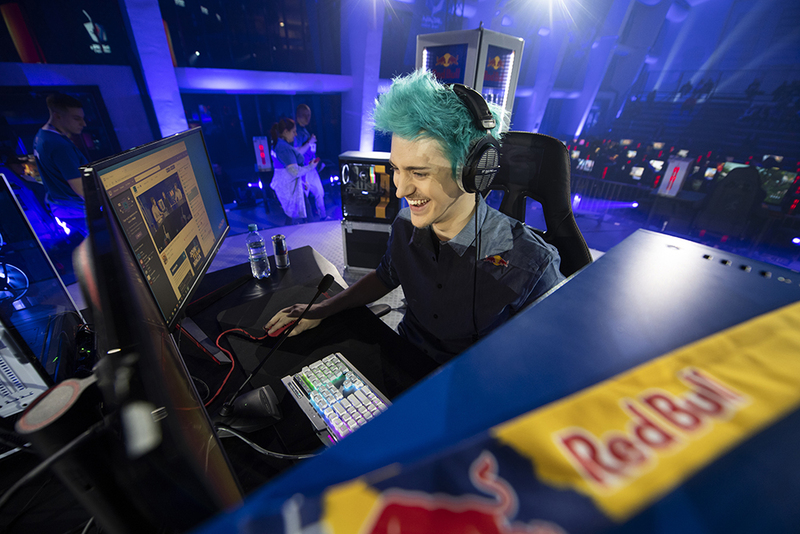 – Ninja partnered with Red Bull Esports for ‘Red Bull Rise Till Dawn’ in Chicago on July 21, 2018. – This time around, he visited Paris in France to take in the Champions League football match between Manchester United and Paris Saint-Germain where he met Brazilian legend Neymar Jr then tried to learn French with fellow star Gotaga in streams that drew over 200,000 viewers and ultimately a Ninja win. – The classy Hangar-7 in Salzburg was the next stop where Ninja sampled Austrian attire and culinary treats in the Michelin-starred restaurant surrounded by rare planes, cars and helicopters before it played host to his regular stream alongside a stunning Red Bull Racing F1 car. – Finally, he hosted Ninja’s Night Shift in Warsaw, Poland with 500 fans on-site for five broadcast hours of dancing, winning, laughs, selfies and trophies.